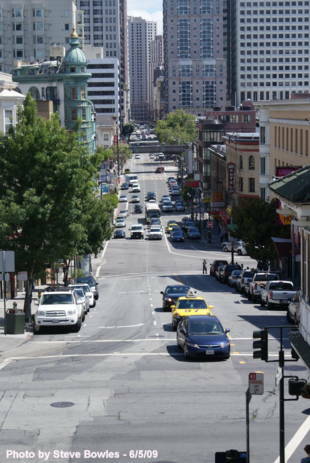 A very popular tourist destination, the Kearny Street Steps aren't necessarily green; however, they do provide an incredible view of the city! The base of the steps are at Broadway, between Enrico's and the Green Tortoise. They extend up past Fresno Street and end at Vallejo Street. From Vallejo and Kearny you can get a view of downtown. 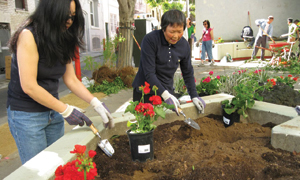 The Kearny Street Steps are owned by the Department of Public Works.